In the Series "Two lives make one," I attempt to address life and death and temporality. 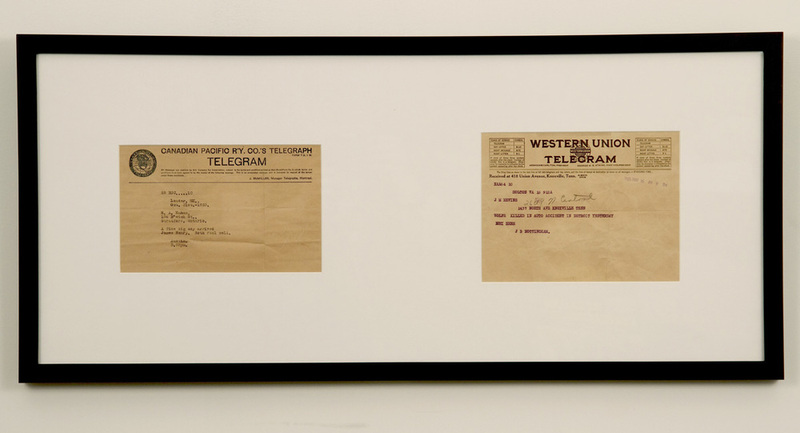 In each of the pieces that conform the series, I mount two vintage telegrams side by side on a wall frame. The telegram on the left announces the birth of a newborn baby while the telegram on the right communicates the sudden death of an individual by accident. The moment of the birth on each of the pieces always predates the date of the tragic death. The newborn and the dead are unrelated as the telegrams were collected from different sources. The ages of those who died are undisclosed in the telegrams. The period between each decisive moment, the birth and death of two different individuals, creates for me a third timeline. Therefore the title of the piece refers to a third life that overlaps the two previous ones.